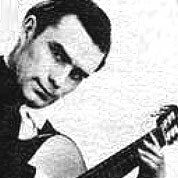 Regino Sainz de la Maza y Ruiz was a Spanish classical guitarist. He also shared a close friendship with composer Antonio José Martínez Palacios, who dedicated him some of his guitar compositions. His younger brother Eduardo Sainz de la Maza was also an acclaimed guitarist and composer.